Shimla: The Nurpur Silk Mill at Nurpur in Kangra district would be revived for promoting silk industry in the State. 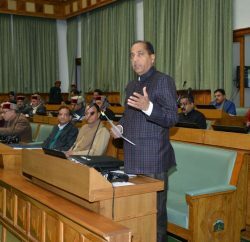 This was decided in the 189th Meeting of Board of Directors of Himachal Pradesh General Industries Corporation Ltd. (GIC) here last evening held under the chairmanship of Industries Minister Mukesh Agnihotri. Speaking on the occasion, Agnihotri said that Nurpur Silk Mill was started in 1964 and was transferred from State Industrial Development Corporation to this Corporation in 1988. He said that presently this mill was producing 100 per cent Silk fabric and selling the same through its own Show Room at factory premises. 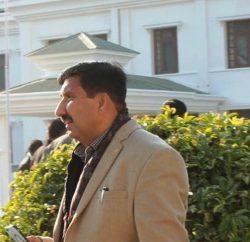 He said that a new show room would be opened at Nurpur, besides another show room would also be opened at Shimla so as to properly market silk products. He said that inquiry would be conducted to find out reasons behind continuous losses suffered by Nurpur Silk Mill over the years and those found responsible would be penalized. Industries Minister said that the Corporation had earned a profit of Rs 169.25 lakh during the first three months of the current financial year. The Board approved eight per cent ADA to the employees of the Corporation. It also gave its approval for revision in grade pay of certain category of the employees of the Corporation. 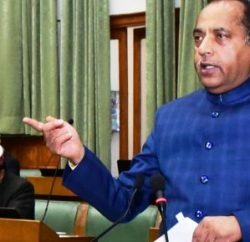 Projects worth Rs 1011.50 lakh have been approved by the Himachal Pradesh Khadi and Village Industries Board under Prime Minister Employment Generation Programme in the State which would benefit 162 persons and provide gainful employment to over 915 people. This was disclosed in the 213th Meeting of Board of Directors of Himachal Pradesh Khadi and Village Industries Board held here yesterday under the Chairmanship of Industries Minister Mukesh Agnihotri. Agnihotri said that the State Government would take up the matter regarding bailing out the Khadi Board from financial losses with the Government of India. He said that it had been the endeavour of the Board to bring together widely dispersed traditional artisans in rural areas and provide them self-employment opportunities. It was informed in the meeting that the Khadi and Village Industries Commission has provided Rs 8 lakh to the Board for organizing one State level and three district level exhibitions under the Prime Minister Employment Generation Programme. Kailash Chand Gaur, Chief Executive Officer of HP State Village and Khadi Industries Board, welcomed the Minister and conducted the proceedings of the meeting. Non-official directors of the BoD also gave their valuable suggestions. R.D.Dhiman, Principal Secretary, Industries, Mohan Chauhan, Director Industries, Rajesh Sharma Special Secretary Finance and other senior officers were present in the meeting among others.